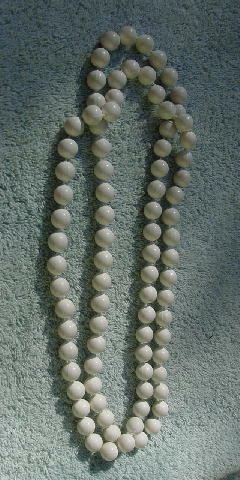 This long beaded necklace is in an offwhite color. A couple of beads have a little of the white missing. It has some weight to it.